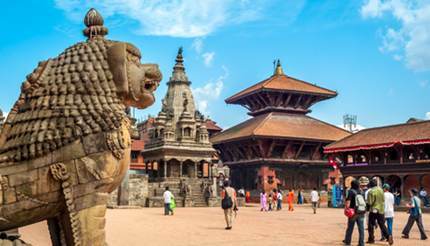 Incredible historical and religious importance clustered into one magnificent city, Kathmandu is as awe-inspiring as the myths and legends surrounding its landmarks. Although devastated by the 2015 earthquake that rocked Nepal, Kathmandu has retained its charm and allure. It’s also a popular destination for those on their way to climb the surrounding mountains and seek enlightenment. Spring (March to May) is warm and humid, with temperatures reaching up to 29ºC (84ºF) in May, and rainfall steadily becoming more frequent. Summer (June to August) is characterised by heavy rainfall and humid weather, with August being the wettest month. Temperatures remain around 29ºC (84ºF). Autumn (September to November) begins wet but steadily becomes drier by October, with temperatures decreasing to around 20ºC (68ºF). Most trekking trips start in autumn. Winter (December to February) is the driest season, raining an average of 1-2 days per month. Temperatures can range from 3ºC (37ºF) to 28ºC (82ºF). Taxis are inexpensive and the transport of choice for visitors. Use one that agrees to run the metre or negotiate a price before you get in. Buses are cheap but crowded and with routes only marked in Nepali, go for it if you are feeling adventurous. For more information on how to see the city, check out our Getting Around Kathmandu Guide. Just outside of the city in the eastern part of the Kathmandu Valley, this temple is the seat of Nepal’s national deity, Lord Pashupatinath. Foreigners are not allowed in the main temple but can visit the surrounding shrines and buildings. This sacred pilgrimage site is significant to both Buddhists and Hindus, and soars above the rooftops of Kathmandu offering the best views of the city. 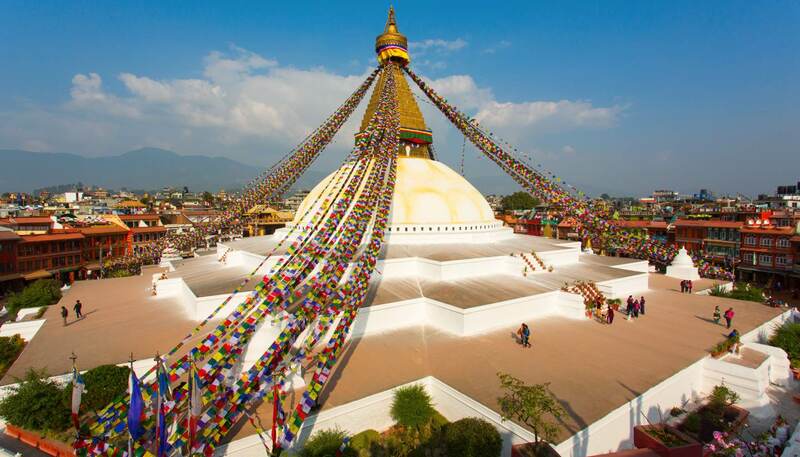 The complex of shrines and temples is dominated by the main stupa with its iconic gilded tower baring the eyes of Buddha. Swayambhunath is also known as the “Monkey Temple” because of the wild monkeys that crowd the steps leading to the main shrine. The 2015 earthquake caused a considerable amount of damage to this UNESCO World Heritage site and restoration is currently underway. Despite this, it’s still a must-see attraction. Intricate temples, ornate statues, and the royal palace of the former Kathmandu Kingdom all make this site historically fascinating as well as beautiful. For more ideas of where to visit, check out our Things to See in Kathmandu Guide. 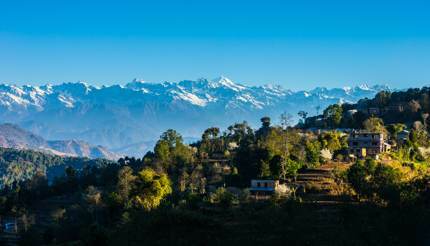 Located 32km (20 miles) east of Kathmandu, this small village is known for its unparalleled views of the Himalayas and Mt. Everest. Take a day trip to this spectacular viewpoint on the valley rim to catch the sunset over the mountains from one of its lofty lookouts. Need to calm a troubled mind? Learn to meditate or sign up for a course on Buddhism while you’re here. 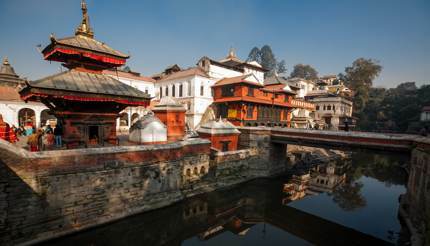 For more offbeat ideas, see our Things to do in Kathmandu Guide. 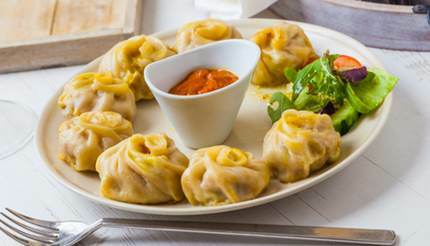 Momos – traditional dumplings filled with meat or vegetables, can be steamed or fried. Sel roti – similar to a doughnut, this sweet rice bread is a popular street food. Pani puri – traditional street snack of round fried pastries filled with spices, vegetables, potato, and flavoured water. Tipping: Tipping is only expected in tourist hotels and restaurants, and 10% is sufficient. Kathmandu has an expanding collection of hotels, mainly concentrated around the centre of town and the Durbar Square area. During peak trekking season (October to November and February to April), hotels can get particularly busy, so it is best to book far in advance. 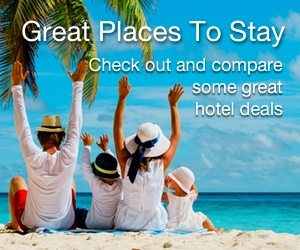 For more accommodation suggestions, see our Kathmandu Hotel Guide. 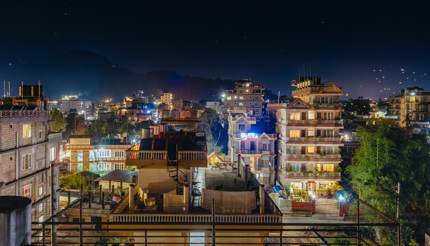 Kathmandu’s nightlife varies between lively restaurants and late night bars. Many restaurants in Pokhara and some around Thamel, near many of the hotels, put on traditional Newari dance shows for tourists. Also in this area are bars and restaurants that play Hollywood films and dance clubs that mainly centre around Bollywood hits. Try Sam’s Bar in Thamel for authentic and relaxed experience, as this is the oldest bar in Kathmandu and makes for a casual night out. If you’re looking for a more upscale night, check out Tamas Spa Lounge for a fancy cocktail while lounging on a divan. In some of the outer towns closer to the mountains, bars stay open late so you can have a wild night before starting your trek. For more nightlife suggestions, check out our Kathmandu Nightlife Guide. To enter Nepal, a passport is required by all EU residents, Americans, Canadians, Australians, and UK residents. A return ticket is not required, but a visa is required by all those listed above. Travellers can obtain a tourist visa at the airport and some land borders and are valid between 15 to 90 days. For more information on the documents you need before you travel to Kathmandu, see our Nepal Visa and Passport Requirements page.